A contemporary take on the classic tennis style, this triple strand bracelet was hand set at Daniel Jewelers. 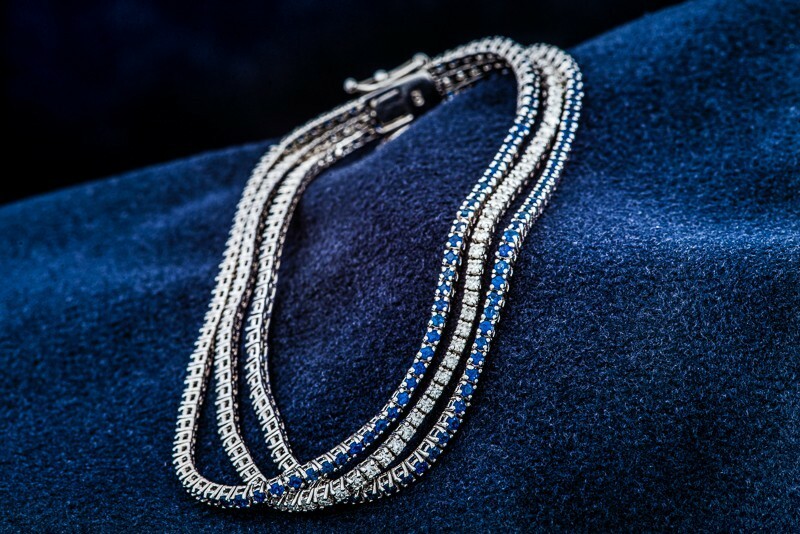 Carefully selected-to-match sapphires and diamonds are set simply in 18kt white gold. The sapphires have a total weight of 2.50 cts and the diamonds total 1.65 cts.